This tutorial explains how to debug the nRF52840-MDK board using Visual Studio Code. 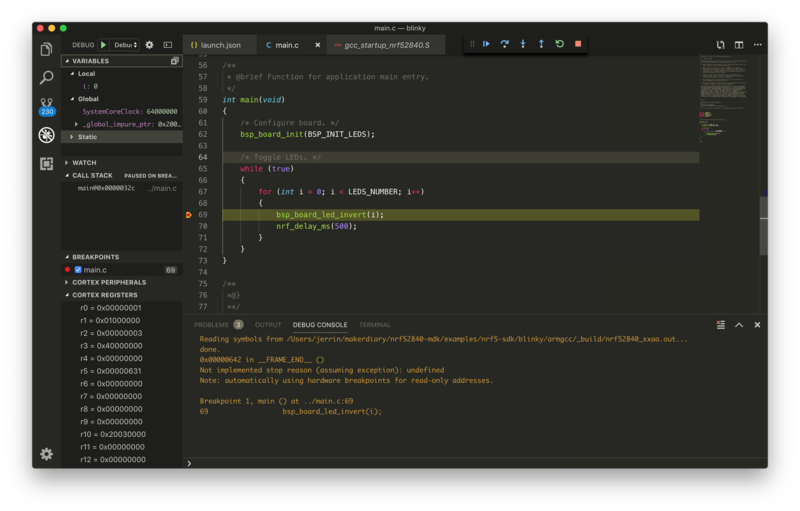 Visual Studio Code is a lightweight but powerful source code editor which runs on your desktop and is available for Windows, macOS and Linux. 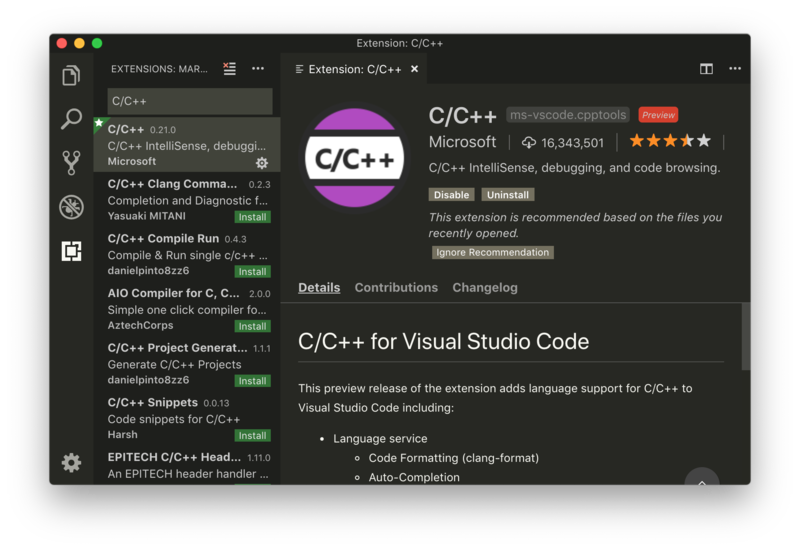 With the addition of the C/C++ extension and Cortex-Debug extension to Visual Studio Code, you might have what is needed in such a small, cross-platform editor. You need to install Visual Studio Code with the necessary extensions to begin. Open Visual Studio Code, and click on the Extensions button. 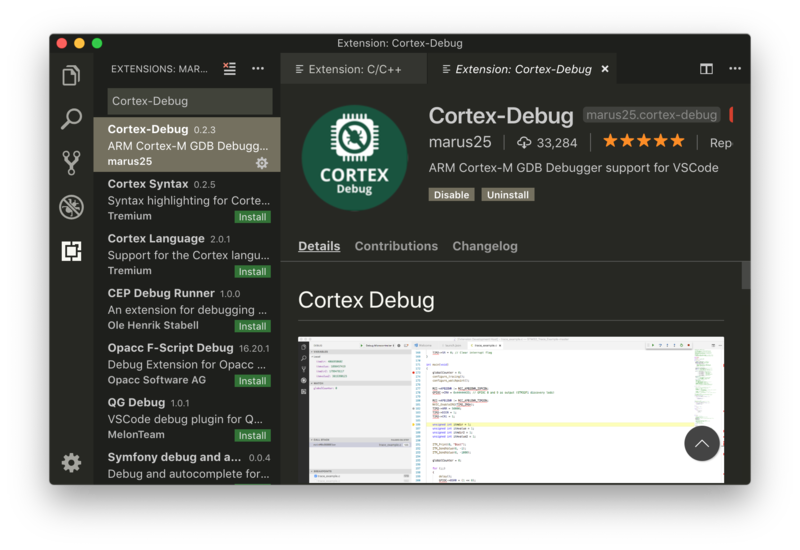 Search for the C/C++ extension and Cortex-Debug extension, then install them. nRF52840-MDK has a CMSIS-DAP interface chip on board, which offers debugging capabilities for stack trace analysis, register dumps and inspection of program execution (breakpoints, watchpoints and so on). 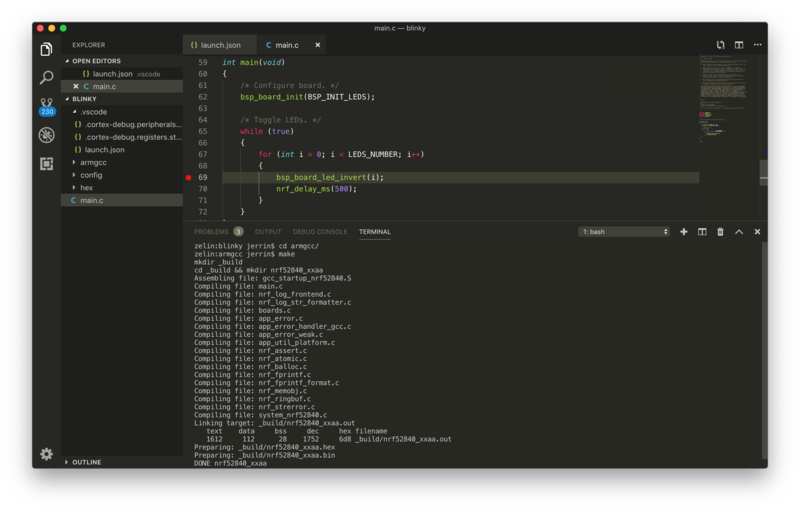 Cortex-Debug is an extension to enhance the debug capabilities of Visual Studio Code when debugging embedded software running on ARM® Cortex-M microcontrollers. Open the folder in Visual Studio Code. Open View -> Terminal . In the Terminal window, change to armgcc directory and make the project. Now you can explore the debugging capabilities for Variables, Breakpoints, Registers dumps and so on. Visual Studio Code is a powerful and modern editor for Embedded Development. With Cortex-Debug extension, it is very convenient to debug your applications as you did in other IDEs(Keil or IAR). Above all, it is FREE and Open source!